What exactly is square footage? How is it measured and how do you find the actual square footage of a co-op or condo apartment in NYC? Are new development square feet measurements always inflated? 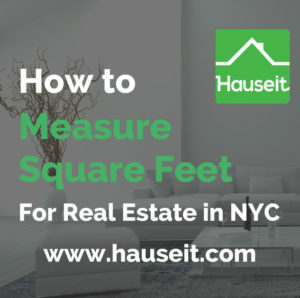 We’ll discuss everything you need to know about how to measure square feet and the nuances of finding a property’s real size in New York City. For your typical rectangular shaped room, the square footage would be calculated by simply multiplying the length of the room by the width of the room. For example, let’s say a legal bedroom in NYC must be at least 8 feet by 8 feet in length and width. That means the square footage of a legal bedroom must be 64 square feet at a minimum. 1We will discuss in later sections of this article on the nuances of measuring square footage for a condo, co-op or town house in NYC. Many developers will use more aggressive measurement tactics and include wall space or even common elements as part of a unit’s square footage. Pro Tip: Are you a first time home buyer in NYC? 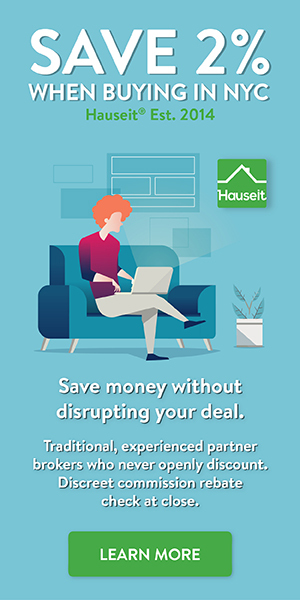 If so, make sure you have the guidance of an experienced buyer’s broker who can guide you through the process of buying a condo or co-op in New York City’s complex real estate market. Estimate your closing costs with our handy Closing Cost Calculator for Buyers in NYC. Figuring out the square footage for a coop apartment in NYC can be tricky. Square footage figures are rarely published on co-op apartment sale listings because an exact number is rarely listed by an official document. Even the original offering plan for a co-op building will rarely list the square footages of the units. As a result, real estate listing agents have learned to avoid listing square footage estimates for co-op apartments due to many lawsuits by remorseful buyers over the years. Admittedly, the reason for many of these lawsuits were due to highly inflated square footage figures by sellers and listing agents, typically 20% or more than the actual size. With that said, it’s also highly beneficial for sellers to be able to list a square footage number for their sale. That’s because it gives a reference point for buyers in terms of valuation, and makes it much easier to compare their listing to other comparable listings. How much space am I getting for the listing price is a perennial question asked by home buyers in New York City. As a result, some sellers may get a draftsman or architect to measure an exact floorplan and provide them with an estimate of the square footage of their home. Figuring out the square footage of a condo is much easier than trying to determine the square footage of a coop. That’s because condo sale listings almost always have a square footage number listed which you can also cross reference in multiple places. For example, the condo’s original offering plan will normally have the original floor plans and square footages for each unit in the building listed. Furthermore, the NYC Department of Finance will list what they call the “Net Square Footage of the Lot from the Condo Declaration” in each property’s most recent “Notice of Property Value” letter. This letter is a public record that can be found for any real property in the city simply by searching on the NYC Department of Finance website. However, it’s important to understand that just because an official square footage is listed in the original offering plan does not mean that there is a standard way of measuring square footage. In fact, the Attorney General’s office which oversees the sales of new developments allows different methods of measuring square footage as long as the method is disclosed, along with a disclosure that the square footage number may be more than the square footage buyers can actually use. The lack of a standard measurement process means developers have great flexibility to inflate their units’ square footages for marketing purposes. It’s fairly common to see developers today measure square footage from the outside of the building’s exterior wall. Interior walls that are shared with other apartments are typically measured from the halfway point to give equal credit to each unit. Even more egregiously, many developers will include an apartment’s proportionate share of the building’s common elements such as hallways in the stated square footage. As a result, this is why you’ll see some corner units in buildings with thicker than average exterior walls have usable square footage that is sometimes 15% less than the published square footage! 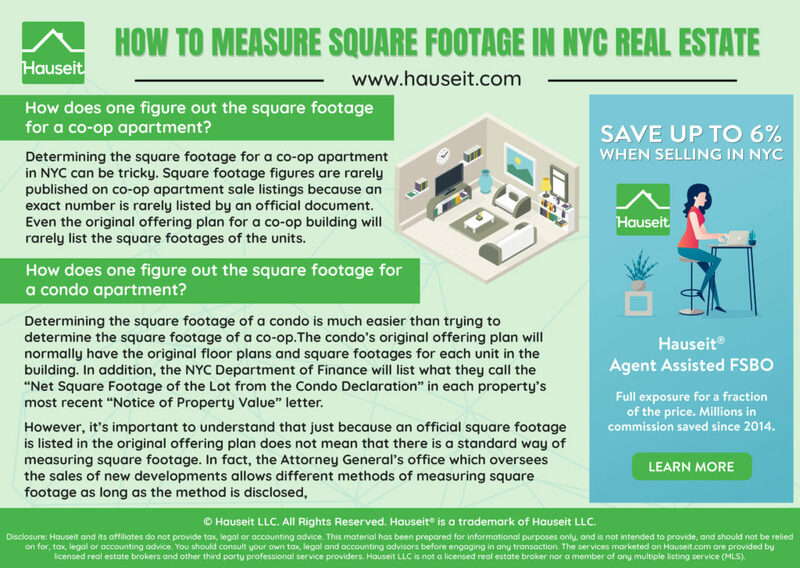 Be careful and read the offering plan to determine how square footage is measured before buying a new construction home in NYC! Note: Not all square footages for condominiums are deceitful or measured alike. In fact, many square footage figures for older, post-war condos are quite reasonable and accurate. For example, in new developments from the 1980’s when condo ownership started becoming more popular vs co-op ownership in NYC, the square footage measurements were much more reasonable and more resembled actual usable square footage. How do you determine the square footage of a townhouse, multi-family property or single family house? Most smaller, free-standing property will be individually owned and will not have an offering plan to reference off of. So how can you determine the square footage? As we’ve previously discussed, this is a public document that you can easily find for any real property on the NYC Department of Finance Website. Alternatively, you can search for the property’s address on NYCityMap, which is a handy database maintained by the NYC Department of Information Technology & Telecommunications. When you search for the property’s address, you’ll be able to find something like “Gross Floor Area: 3,200 sf (estimated)” for the city’s estimate of the property’s size. Pro Tip: Of course you can achieve complete piece of mind by having a professional survey done to estimate a building’s square footage yourself, but that is quite impractical in a market where buyers have to most fast to secure a deal.